This means you can keep your eyes on the road instead of glancing down at the factory speedometer. This unit is suitable for all vehicles that have an OBD2 port (which is in most vehicles built since 2008). 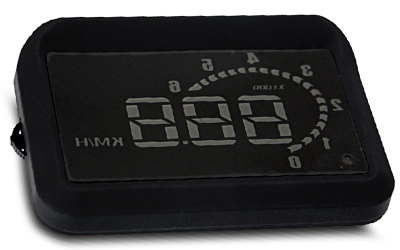 It simply plugs into the vehicles OBD2 port and this provides power and accurate vehicle data. The unit also features RPM display and auto brightness control.